I have a problem ... 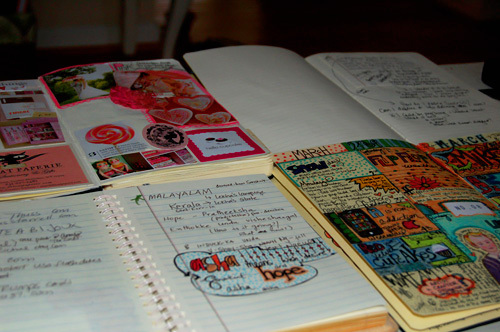 I have too many journals. I have one for snippets of things I love and that inspire me. One to keep in my handbag to jot things down or to save other random snippets I stumble across here and there. One where I write stuff - you know, ... the deep stuff. One new one I started that allowed me to do something little each day (inspired by these). I mean HOW Many journals does a girl need? I do not even want to ADMIT what I spend on moleskines every year. But I really wanted to find a way to incorporate all of these into ONE journaling system that I am good at doing, not sporadic, and that I will not destroy. I have this horrible habit of starting new journals all the time, tearing out things I like in my current one,to start the new one with ... so I have no archives (I shred the other pages left over from the old one, and when I saw old, I only mean a month or two). So these past couple of days I took 3 out the 4 journals and the new journal kit I just ordered and got to work to make myself one ULTIMATE journal. It was tough, and I almost gave up a couple of times, but in the end I came through! I have to keep reminding myself that it is a work in progress... the cover needs a lot more work, and all sorts of goodies can be added inside and out. I have not even done anything with the back yet (Moleskine lovers, close your eyes, I mutilated one). Here is a photo of the new journal - and in a few days or so I will share some of the pages inside. Wow this is great! 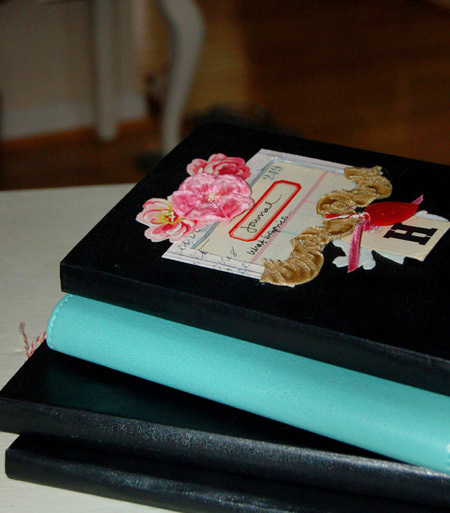 I really like the thought of one ULTIMATE journal, I'm guessing it will look amazing once filled. 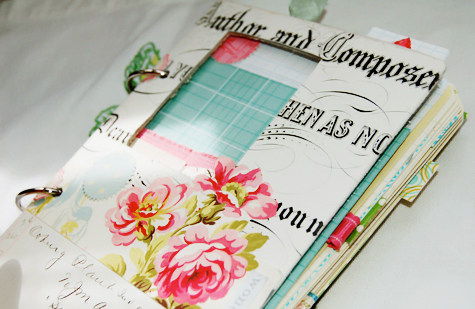 I love this journal with the rings for binding. I keep looking for something similar. Am having great fun with my journaling. My journal has black pages so I bought some pastel shade pens and they look fab!